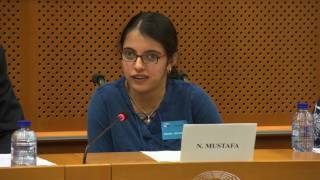 Nujeen Mustafa is a Syrian disability activist who spent some time living in Greece as a refugee. Basic services, such as toilets or running water, were not available to her and the many other refugees in the camp, and are still not available to date. Nujeen is hoping to get more EU involvement so that aid reaches all refugees, including people with disabilities.